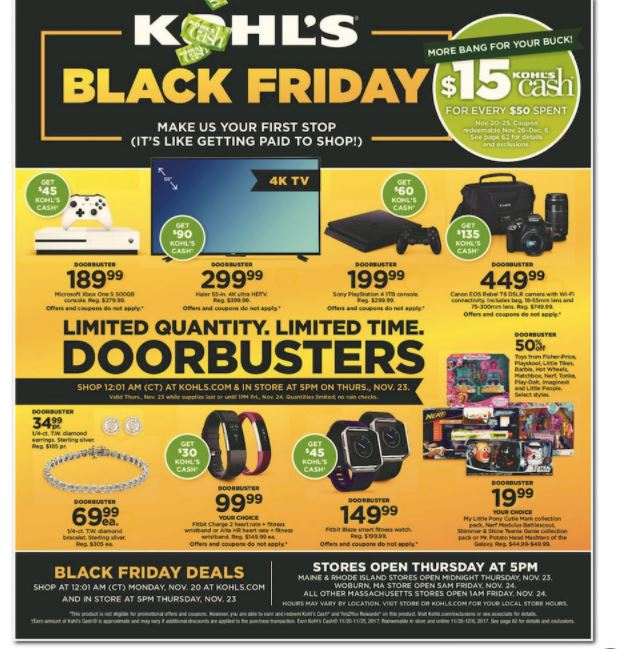 Kohl’s just released the anticipated 2017 Black Friday Ad. Stores will be opening Thursday, November 23rd at 5pm. Black Friday deals will be live online starting November 20th at 12:01 am (CT). You will also be able to earn $15 Kohl’s cash for every $50 spent. View the Kohl’s Black Friday Advertisement HERE.